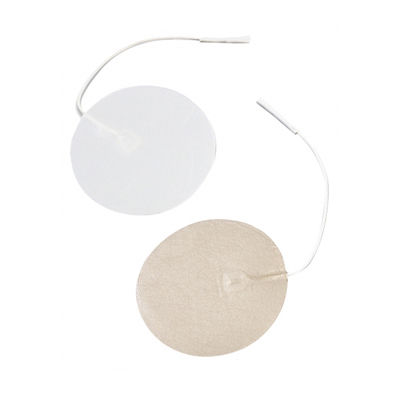 These electrodes by Chattanooga come in a wide variety of sizes and shapes to best fit your needs. Each pack of 4 electrodes come in their own poly bag. Because Chattanooga electrodes are known for being so flexible, they are able to conform to your body without compromising the conductivity of the electrode. 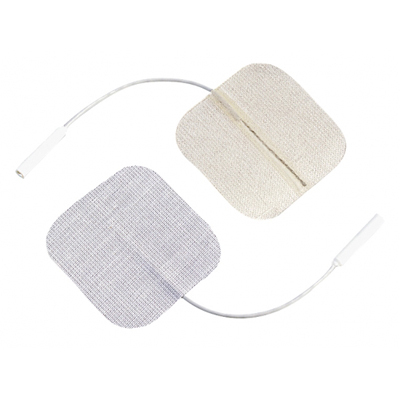 These kind of electrodes contain silver material which means that it is highly conductive. 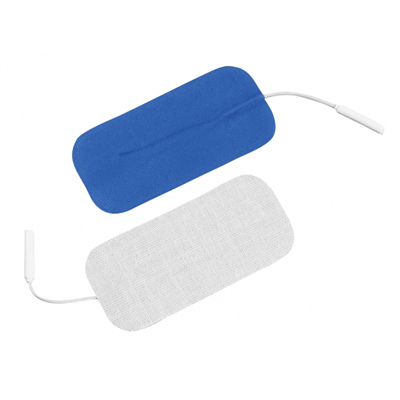 Due to the self-adhesive gel on the back of the electrode, you don’t have to worry about residue being left behind on the skin. 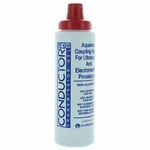 Replace electrodes periodically, especially when the quality of the adhesion has decreased significantly. If electrode gel feels dry, you can put a drop or two on the adhesive side of it. 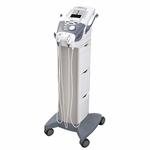 Discontinue use and contact your healthcare provider if rash or irritation develops. 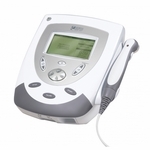 Always consult with the healthcare professional who prescribed your electrotherapy unit before deciding on choosing a certain size or shape. These are the 1.25 inch electrodes that are stainless steel mesh backed. They are flexible and conform to your skin. 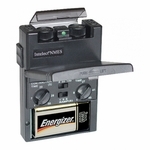 But, don’t worry about the conductivity being compromised because they have the flexibility factor. It doesn’t compromise it! It also contains silver material and the adhesive gel does not leave a residue! Here we have the Chattanooga 1.5 x 2.5 inch electrodes that have silver material and are stainless steel mesh backed. They conform to your body because of how flexible they are. This type of electrode is very conductive. Remember to always put your electrodes back on the plastic sheet and place the sheet back in the poly bag provided to maximize electrode life. When looking for 3 x 5 inch electrodes, look no further than these Chattanooga electrodes! 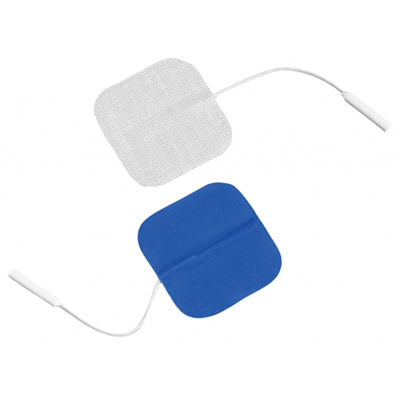 The blue adhesive gel on these electrodes leaves no residue once they have been removed. These Chattanooga electrodes are stainless steel mesh backed. Always remember to take care of your electrodes so that will prolong their life. To help prolong the life of the electrodes, place them back on the plastic sheet they came off on and place the sheet back in the poly bag provided. These electrodes are known for their flexibility and having silver material in them for a better conductivity. 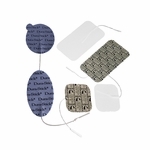 The Durastick electrodes by Chattanooga provide the top current dispersion with little impedance. These are pin connector electrodes. The size of these electrodes are 2 inches and are square shaped. 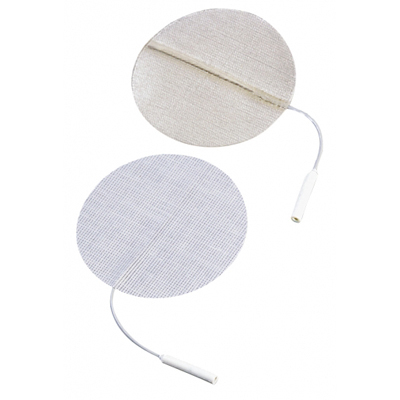 These electrodes also have a pure conductive silver layer which means the stimulation is equal across the whole electrode. 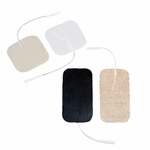 These are stainless steel mesh backing and are pin connector electrodes. 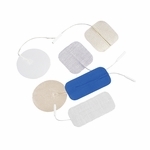 These electrodes by Chattanooga are 1.5 inch by 3.5 inches and are rectangle in shape. They have stainless steel mesh and have blue gel. The Durastick electrodes provide the top current dispersion with little impedance. It has a carbon silver firm layer. These are pin connector electrodes. 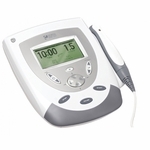 They also have a pure conductive silver layer which means the stimulation is equal across the whole electrode.